The full Bulletin is available on the link, however, we have summarised below for your convenience. The changes only apply to vehicles involved in Stage Rallying which are going to receive a Competition Car Log Book (CCLB) or Vehicle Passport (VP) after the 1st January 2019. Cars with existing Competition Car Log Books or Vehicle Passports remain valid in their current specification. Vehicles that have a HRVIF (Historic Rally Vehicle Identification Form) are exempt from the alterations described. Vehicle models first manufactured (not specific year of build) prior to 1st January 2006 are exempt from the alterations described. The requirements will not be retrospectively applied for vehicles which have previously held a Competition Car Log Book or Vehicle Passport. Any vehicles used in a discipline outside of Stage Rallying (e.g. Circuit Racing) are not currently included in this bulletin. R48.10.1.Have, as a minimum, a ROPS complying with K.1, Section K Appendix 2 Drawing number 5 or 6, and longitudinal door bars complying with K.1.3.5(b) (side sections K Appendix 2 Drawing number 9). 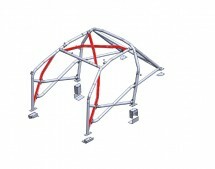 38 x 2.5 (1.5” x 0.095”) or 40 x 2.0 (1.6” x 0.083”) (For roll cages/bars approved prior to 1.1.95). The MSA have also allowed the amendment of existing FIA homologated ROPS designs to include the addition of these additional members. Alterations to an FIA homologated ROPS design do not have to meet the above material requirements but should match the material diameter and thickness of adjoining tubes. 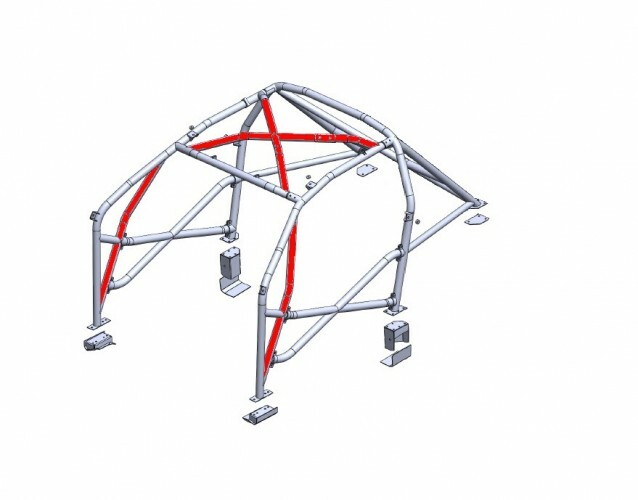 Please contact Safety Devices in advance of making any alterations to your cage as modification of an existing design may invalidate any FIA homologation already present. Safety Devices will be working on updating existing designs for new orders and processing the necessary amendments with the FIA, where applicable. Competition Car Log Books first issued prior to 1st January 2000 will expire on 31st December 2020. CCLBs first issued between 1st January 2000 and prior to 31st December 2004 will expire on 31st December 2022. CCLBs first issued between 1st January 2005 and prior to 31st December 2009 will expire on 31st December 2023. All other CCLBs will expire on 31st December 2025. Once a CCLB has expired a new Vehicle Passport will need to be applied for. Until the date of expiry a CCLB may continue to be returned to the MSA for amendment per 2.1.5. Please remember that if your vehicle is not used in Stage Rallying, these changes will not affect the compliance of your ROPS.